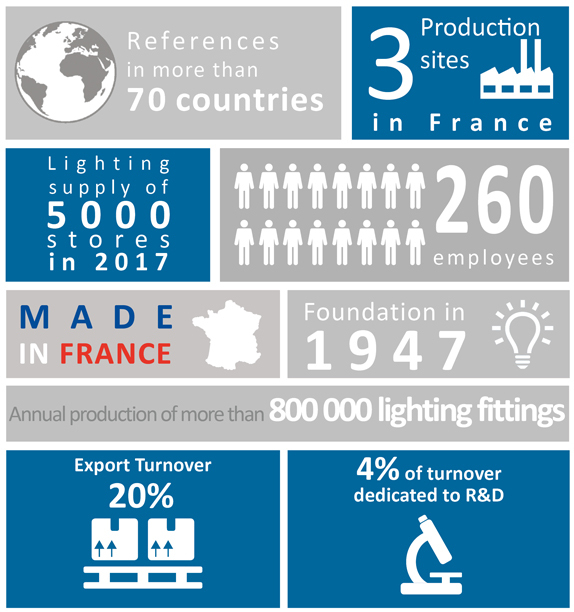 TRATO-TLV has been based in Lille for more than 70 years, benefiting from its strategic geographical location at the heart of Europe. The company, consisting of 2 entities, TRATO and TLV, designs, manufactures and sells interior lighting fixtures (TRATO) and hospital equipment (TLV). The engineering office, shared by both entities, is made up of engineers and technicians who study and develop the products from start to finish, from the specifications to completion. TRATO-TLV is continuing its technological development and increasing its performance by making an investment in its 3 production units (20 000 sqm), in accordance with its policy of developpment and innovation.